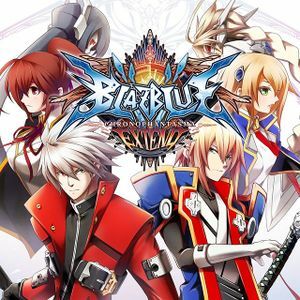 See Helix Mod: Blazblue: Calamity Trigger - Continuum Shift Extend - Chronophantasma Extend. Download this file containing alternate backgrounds. Backup the folders main and main_old to another location. Delete the original main and main_old folders. Copy the new main and main_old folders from the downloaded file to <path-to-game>\data\BG\. Stuttering and/or out of sync audio on some systems. ↑ 1.0 1.1 File/folder structure within this directory reflects the path(s) listed for Windows and/or Steam game data (use Wine regedit to access Windows registry paths). Games with Steam Cloud support may store data in ~/.steam/steam/userdata/<user-id>/388750/ in addition to or instead of this directory. The app ID (388750) may differ in some cases. Treat backslashes as forward slashes. See the glossary page for details. This page was last edited on 29 March 2019, at 02:39.